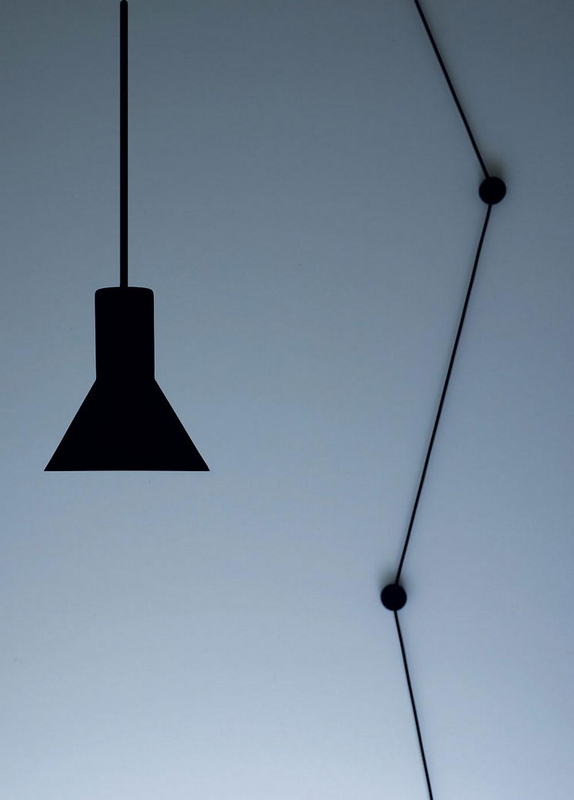 HomeBlogHome DecorN-EURO Suspension Lamp by Davide Groppi and Beppe Merlano. 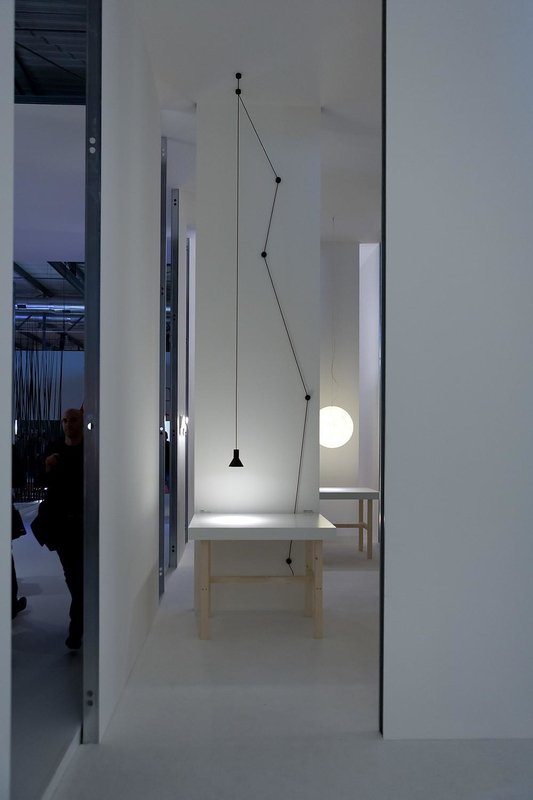 Brilliant in its simplicity and extremely minimal the N-EURO suspension lamp by Davide Groppi and Beppe Merlano is a pure reinterpretation of the first electric lighting. At first, all electric appliances, including the light bulbs, were connected to the one power source of the house, through lots of hanging cables, given that most houses were not equipped with wiring infrastructure embedded in the walls. 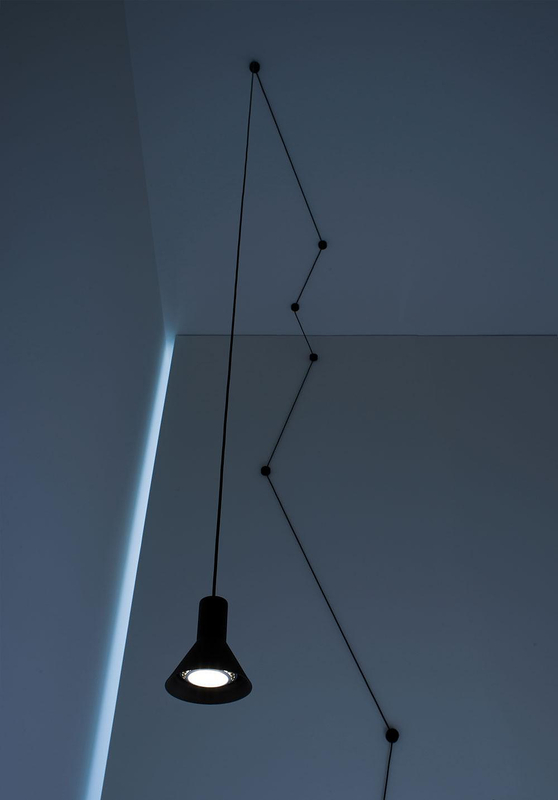 The N-EURO Suspension Lamp by Davide Groppi and Beppe Merlano symbolizes exactly that era, the tome when electric lighting first made its way into urban housing. With the cable mounted from dot to dot, in order to define the exact course of the electric power until it reaches the bulb. The dots are little orbs made of insulating material. 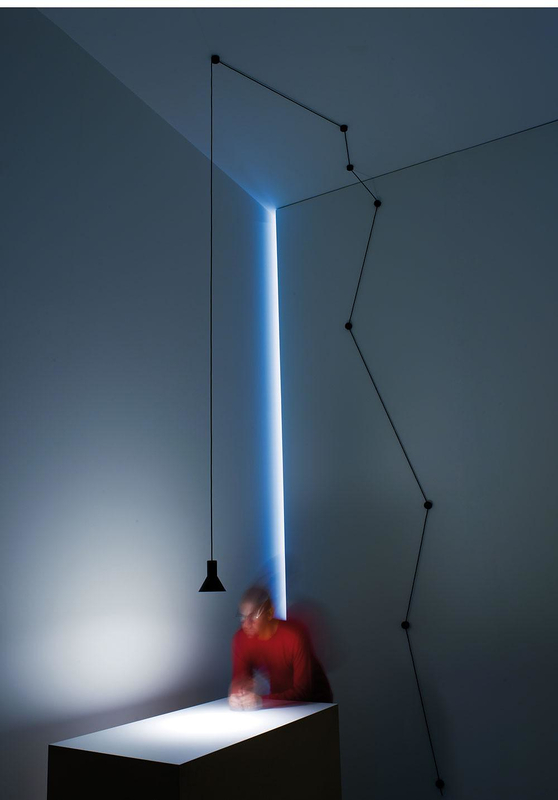 Davide Goppi once mentioned that he is obsessed with the ability to put light wherever you want. 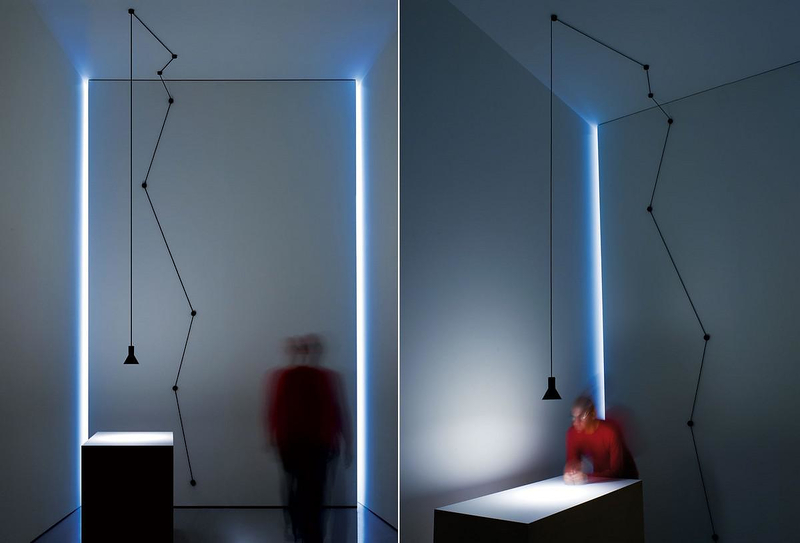 The N-EURO Suspension Lamp by Davide Groppi and Beppe Merlano is a solid diagram in space and a map of dots concluding to a source of light. 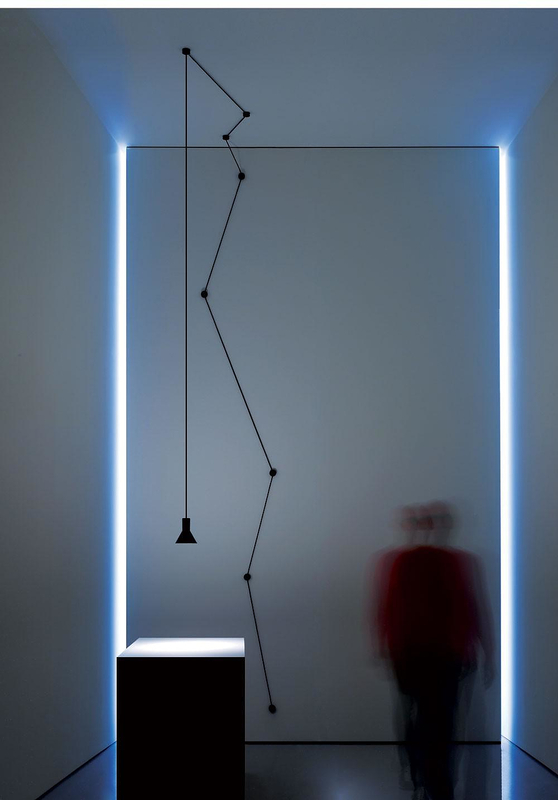 Actually, the N-EURO Suspension Lamp by Davide Groppi and Beppe Merlano is as simple as it gets: one plug, one cable, a little insulating material, one light fitting and a LED light bulb. 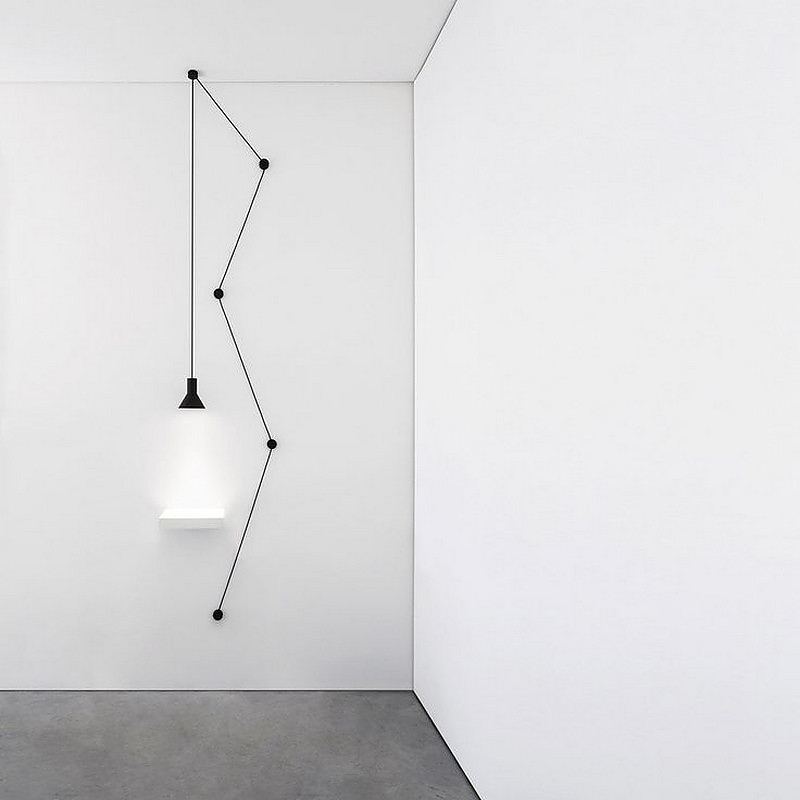 Italian company Davide Groppi is well known for their exquisite range of explicit minimal lamps.